It’s not really the fault of the image, I’m just having a bad month so far. Mom found a Titantic puzzle that I was planning to have ready for April 15 (the day it sank), but I just couldn’t find the gumption to get it started. It’s an interesting image that I will eventually assemble, it just isn’t going to happen right now. 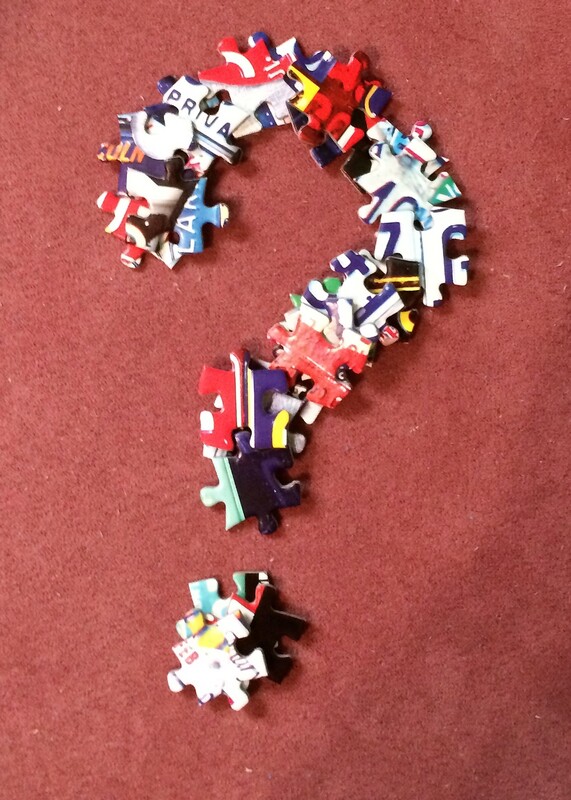 So what are you puzzling at the moment; something wonderfully bright and interesting, something difficult and frustrating? What’s on your board right now? I may work on a smaller puzzle on the white board in bed, the White Mountain puzzle is too large to fit the white board. I might start working on a 300 or 500 piece to keep me occupied in my room. I’m completely addicted, but it doesn’t upset me the least little bit; puzzling keeps my brain from turning to mush!